Advanced Carpet Care did a superior job on our carpet. Certainly the best cleaning we have ever had. Reliable, friendly, trained, and super equipment. Couldn’t be more satisfied. Advanced Carpet Care comes in once every 4 weeks and steam cleans my carpet and tile area in my restaurant. Brian, the owner, is always on time and does a wonderful job. I would highly recommend him and his company. I use him on a regular basis and for emergencies and he never hesitates to get here as soon as possible! Absolutely love Brian and his company! I’m a long time customer of Advanced Carpet Care. Their attention to detail in cleaning our carpets and upholstery has always been excellent. Everyone is friendly and professional. I highly recommend Advanced Carpet Care. We love to eat in our dining room that has white chairs. Over time, our chairs have become embarrassing to sit in. Brian came over and cleaned them so beautifully! I’m grateful for Advanced Carpet Care and will be quick to call them again. I can’t begin to tell what a blessing Advanced Carpet Care is to us. 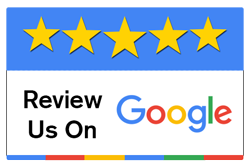 Friendly service, professional, and always a great job with a smile! Brian and his associates always work diligently to do all that we ask! We love the quality of work they do and the care that they take with our home and belongings. Brian is a hardworking, conscientious person that we are blessed to call friend. 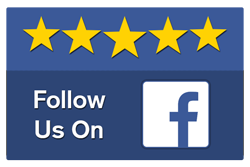 We recommend Advanced Carpet Care to anyone for their cleaning needs! Thanks so much for your work efforts, attention to detail, and conversations with Daddy – he enjoyed the time spent at the house with you. I truly appreciate all y’all did for us! The Best! Quick and very Courteous. Good job. Thank you so much! I had a terrible, horrible no good day when my toilet overflowed and entered into 2 bedrooms saturating my carpet. I just knew my carpet was ruined but I called Advanced Carpet Care and they were here within an hour. Not only were they prompt, but very efficient. I would recommend this company & will use them again . . . courteous, prompt & very thorough. Thanks for solving my problems. We always choose Advanced Carpet Care because of the excellent service we receive. They make appointments promptly, always arrive at the scheduled time, and the carpets look great when they are finished. Brian and his staff are professional, caring, and courteous. I have used Advanced Carpet Care for the past 5 years and would not dream of using anyone else! 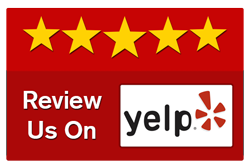 They are thorough and efficient; my floors look great every time! On Friday, we had an unexpected event that caused flooding in part of our home. It was after hours when this occurred and we instantly called Advanced Carpet Care. Mr Brian Parker came out to access the damages and placed the needed equipment to protect our home from substantial loss. He had to leave this equipment for the needed 48 hours. He returned on Sunday evening to complete the job. Our family is forever grateful to Mr. Brian and Advanced Carpet Care for the outstanding and professional job they did for our family. I highly recommend their company for any need you have. Advanced did an excellent job. They were prompt in getting to my house and were very professional. I will use them again. They did a Wonderful job! My room size rugs were 10+ years having been cleaned. The customer service is the best! Unlike some places of business these days, you actually speak to real people and do NOT get put on hold! Highly Recommend! Thank you so much for coming so fast to take care of my water loss. They cleaned it up and had everything dry in two days. I would recommend Advanced Restoration Services to anyone. They are great! !